Now you can know when your mobile devices are done charging without having to access them to find out. 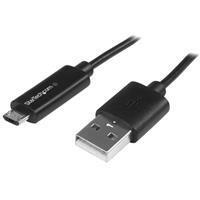 This Micro-USB charging cable features an LED indicator that lets you know when your mobile devices are fully charged. The charge cable provides a visual that lets you know when your mobile device is charging, so you don’t have to doubt whether or not the cable is plugged in correctly. The LED indicator at the top of the Micro-USB connector lights up when the cable is connected to your device as well as a USB charger or USB port. A red light indicates that your device is still charging and a green light indicates that your device is fully charged. Replace the cable that came with your device or keep one as a spare in your laptop bag, backpack or other carrying case. You don’t have to remove the case from your phone or tablet every time you charge or sync your device. The cable offers a slim Micro-USB connector molding that plugs into your device even while it’s inside a protective case. The USBAUBL1M is backed by StarTech.com’s 2-year warranty for guaranteed reliability. Note: The cable is designed to charge your device from a standard 5V USB charger or from the USB port on your computer. 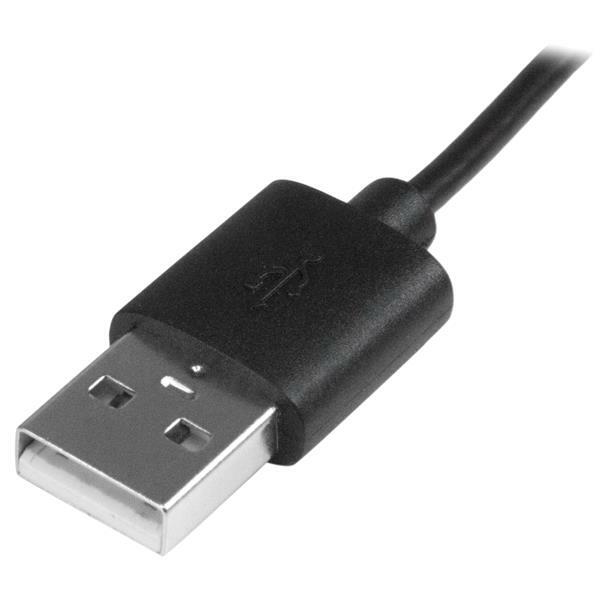 If you use this cable with a charger that supplies over 5V of power, such as a Quick Charge™ adapter, it might cause damage to your device. Note Use only with a standard 5V USB wall charger or with the USB port on your computer. Do not use with a charger that supplies over 5V of power, such as a Quick Charge™ adapter.